Summer is here and it’s sizzling in Liverpool. There is so much going on in the city over the next few weeks so find yourself a hotel and get up here for a long weekend to experience everything this friendly and welcoming place has to offer. Here are 21 of my favourite things to do in Liverpool during the summer months. Take a ride on the Mersey ferry. There is nothing better than taking a ferry ‘cross the Mersey! 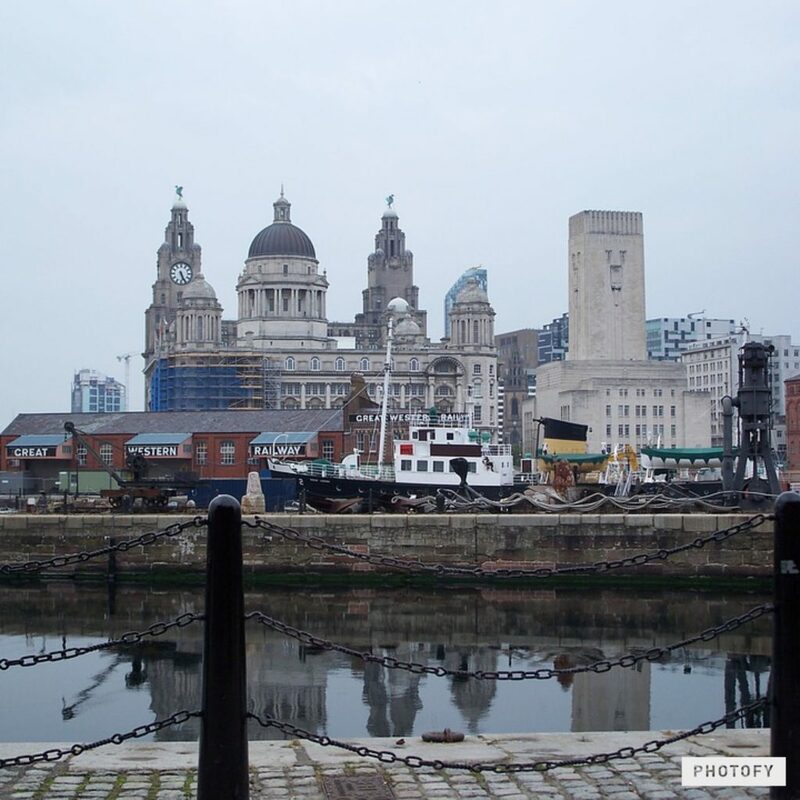 The views of the Three Graces and Liverpool’s UNESCO Waterfront are incredible. The Razzledazzle ferry is my favourite because it adds a splash of colour on a grey and dreary day. The ferry teminal is located on the Pierhead and costs £10 for adults and £5.50 for kids over 5. 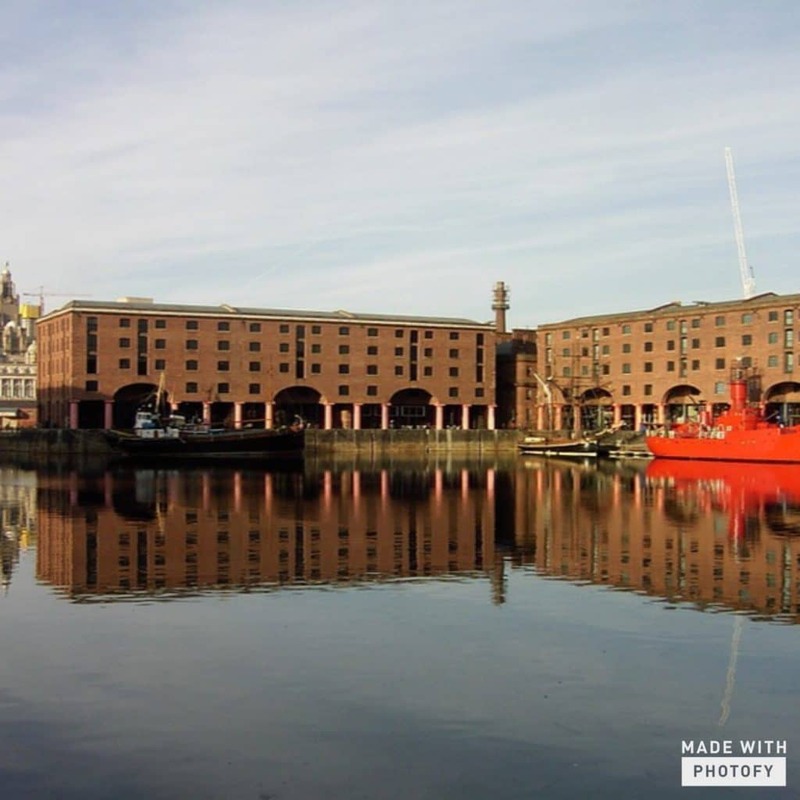 There are so many amazing cafes, restaurants, bars and shops in the Albert Dock as well as the Tate Museum. It is truly one of Liverpool’s iconic areas and I highly recommend spending an hour or so traversing the dock and sampling a cocktail in Revolution. Visit some bars in Liverpool One. I love Tavern on the Green. There’s an outdoor area for you to sit and sip your Peroni with some cracking tunes on. There’s lots of family friendly options too and more places for you to eat than you can imagine. For something #TrulyScrumptious we love Las Iguanas, Wahaca, Bills and Bem Brasil. Climb the Anglican Cathedral‘s tower. The huge Anglican cathedral is wonderful to explore and the views from the top of the tower are incredible. I recommend exploring St James Gardens around the cathedral as well. The gardens are littered with old gravestones which are interesting to study. It is heartbreaking to read some which commemorate mass graves of orphaned children from the city. Admission: £5.50 Adults, £4.50 Concessions. Bus tours leave from outside the Liver Building near to the Pier Head and stop in Liverpool One, Georgian Quarter, Albert Dock and Lime Street. On a sunny day the open top bus is a fantastic way to see the city and the driver is always up for a giggle. Climb the Radio City skytower. This one is not for the faint hearted. A lift takes you 400 feet above the city for around a fiver. The views of the city are second to none, plus on a clear day you can see Blackpool Tower and Snowdonia. Chances are you may bump into a celebrity or two as they broadcast Radio City from the top of the tower. We bumped into a couple of famous old footballers when we paid a visit who had been talking on Radio City Talk. Anfield is another one of Liverpool’s iconic structures and it is well worth a visit. The Boot Room cafe and restaurant has great food and drink for a reasonable price and the stadium tour is worth the price tag. Admission: £17 Adults, £11 children. Hire a bike and explore the city. City bikes are dotted around the city and are easy to hire. Liverpool is a small and relatively quiet city and it’s easy to explore by bike. One of my favourite routes is to pick up the bike outside the Malmaison at Princes Dock, then ride along the waterfront, past the Albert Dock and towards Otterspool. 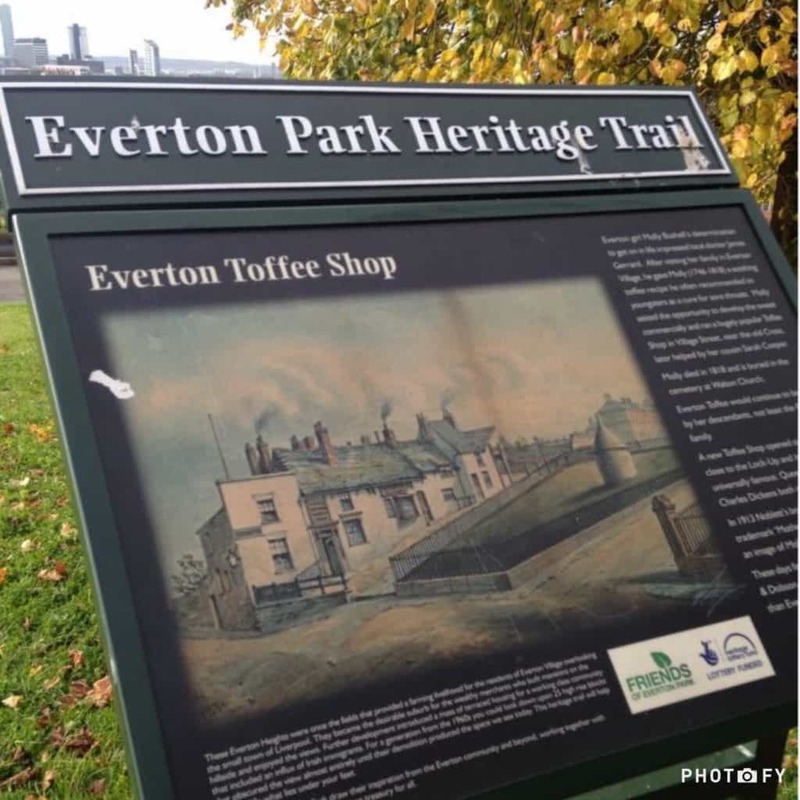 Explore the history of Everton Park. Everton Park is my favourite park in the city, firstly because my Grandad was born and raised in that area and secondly because it has been well looked after and regenerated. The area used to be inhabited by rich sailors who built their villas at the top of the hill overlooking the city. When the industrial revolution hit, the little village of Everton turned into a slum area housing thousands of families in row upon row of terraced houses. These were all demolished in the 1960s and the families rehoused in different suburbs around Liverpool. What remains now is a beautiful park overlooking the city with incredible views of the Mersey and the docks. Dotted around the park are lots of signs telling you what used to stand there- I could spend hours immersing myself in the history. Have a bite to eat in Chavasse Park. Chavasse Park is a green space next to Liverpool One which is perfect to sunbathe in alongside a picnic. In the summer there’s always plenty of family friendly events on too! You can’t come to Liverpool without visiting both of our beautiful cathedrals. 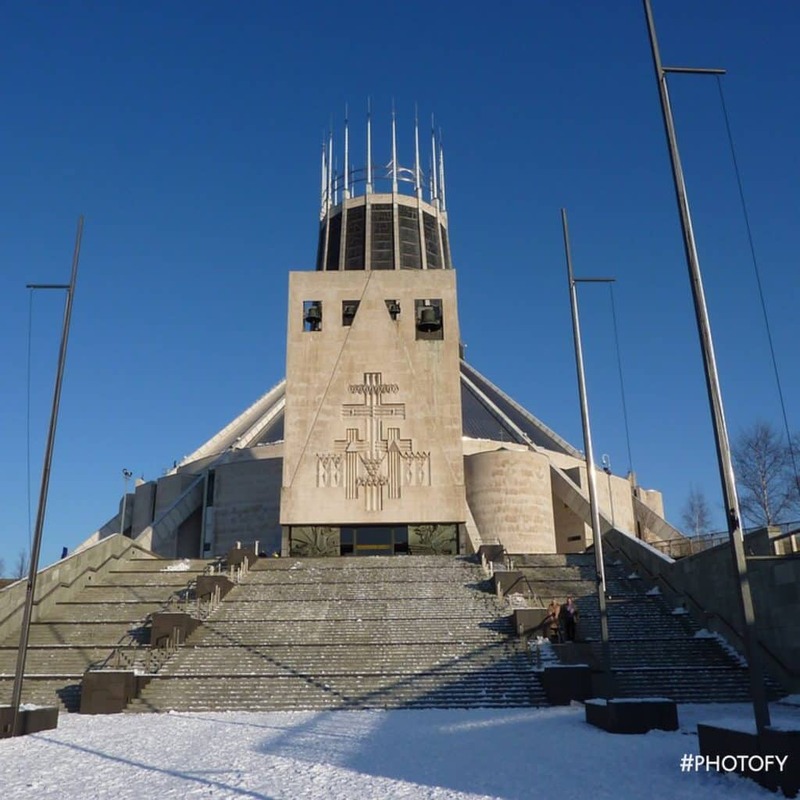 The Catholic cathedral is affectionately known as Paddy’s Wigwam due to it’s unusual architecture. There is so much to learn about inside the cathedral including what the original plans were (a monstrous cathedral which would have more than dominated Liverpool’s skyline) and how the cathedral came to exist in an area which before housed a workhouse. My favourite museum in Liverpool. Before I visited the Beatles museum I was not really a fan of the Fab Four. Once I had spent two hours here, I was converted. My favourite bit had to be how they redid the Cavern Club exactly and played the music. Hefty price tag to visit, but trust me, it is worth every penny. Admission: £15.95 for Adults, £9.50 for children over 5. Family tickets available. The World Museum is fabulous for kids. There are five floors all am packed with exciting exhibitions and amazing artifacts. I love the planetarium on the top floor which has great shows for kids and adults alike. Visit the Museum of Liverpool. 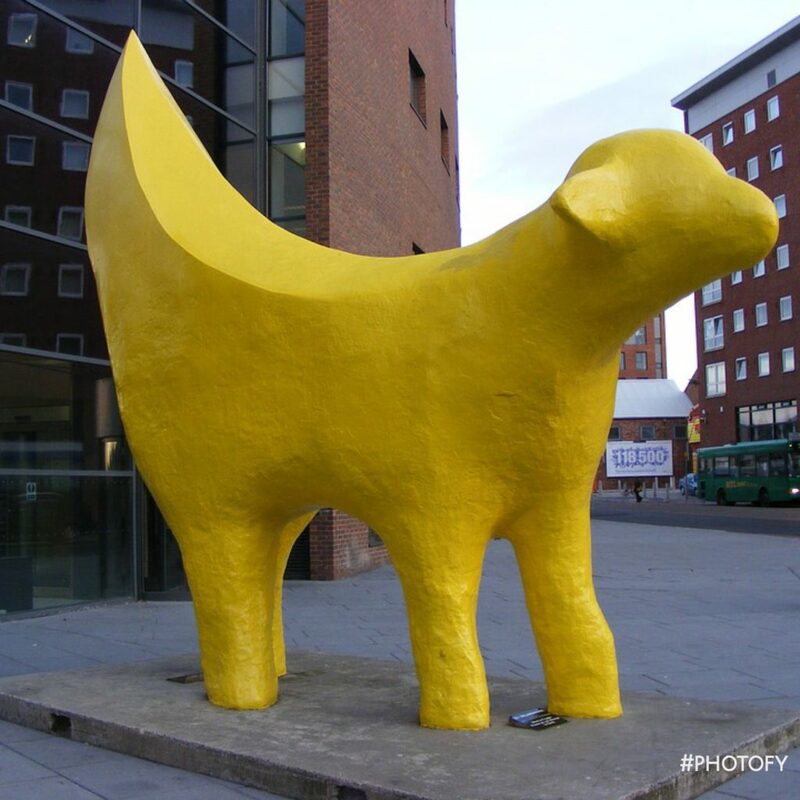 This museum showcases the history of the city of Liverpool from a social and cultural context. I could spend hours listening to the music that has come out of the city and there’s even a karaoke booth so you can showcase your talents. Everyday there is a Little Liverpool session where tots can get involved in a wide range of activities in a safe area. The Mersey tunnels are an absolute engineering genius and it’s so cool that there’s a tour of the Birkenhead Tunnel. I haven’t been lucky enough to experience it but I have heard such wonderful things about it from my Uncle who did it last year. The our starts at George’s Dock Building and continues underground to the tunnel itself and Georges Dock which was built in 1771. Unmissable. Do some shopping in Liverpool One. There are hundreds of amazing shops in Liverpool One and I could spend hours perusing them. There is something on offer for everybody- kids, women, men and some outstanding designer shops too. I absolutely adore the Harvey Nichols Beauty Bazaar, but my favourite store has to be John Lewis. 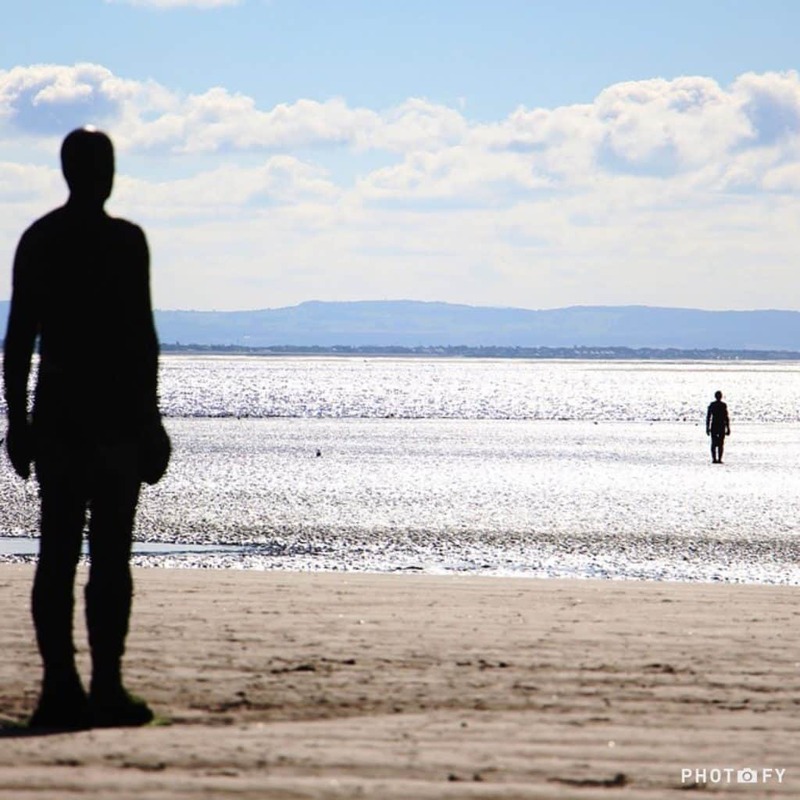 Visit Antony Gormley’s Another Place. Down the coast on Crosby beach stand 100 cast iron men each weighing 650kg. These controversial figures have stood in Merseyside now for over ten years and have become as much a part of the landscape as the Three Graces are further up the Mersey. Definitely worth a visit and the beach isn’t half bad in summer either. Have a few drinks on Mathew Street. I adore having a few daytime drinks on Mathew Street, the place where the party never ends. There is such a festival atmosphere to Mathew Street everyday and the Cavern is worth a visit while you are down here. Drinks are cheap as chips- last time I checked you could get a pint of Carling for £1.50. Go on the Liverpool Wheel. 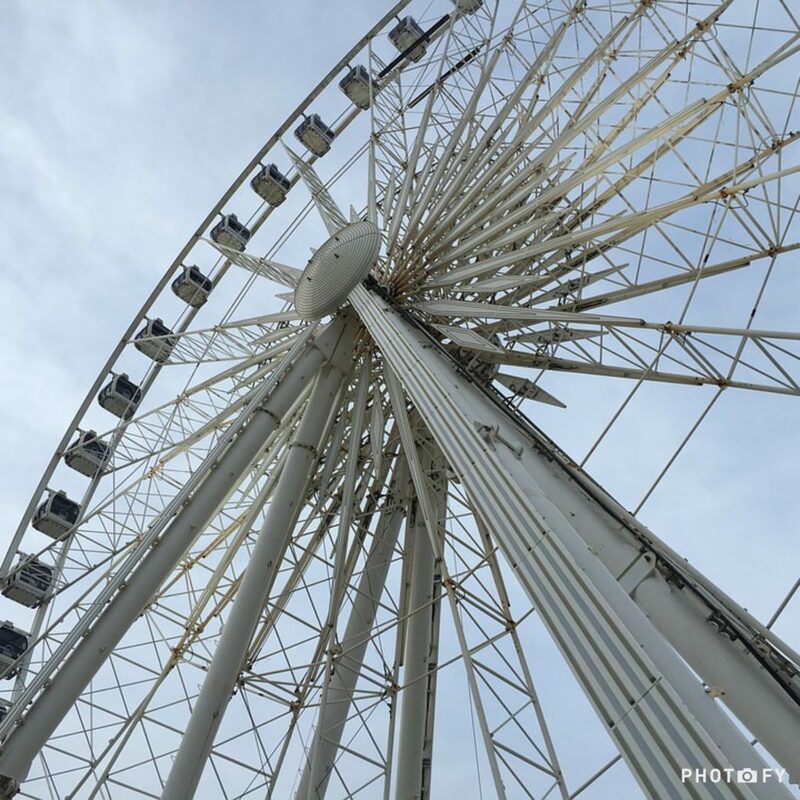 Located outside the Echo Arena, the Liverpool wheel let’s you drink in the breathtaking views of the city and the river. Not one for the faint hearted! Head down to Princes Dock to see the latest cruise ship. During the summer months there’s usually always a ship docked. When it’s one of the big ones, the send off is usually spectacular with music and fireworks. Celebrity cruises, Disney and one of the Queens (Elizabeth, Victoria or Mary) are not to be missed. Catch a film at FACT. FACT cinema showcases the very best in independent and mainstream film and hosts a screening especially for kids every Wednesday at 11am. We particularly love this showing because toddlers are free to roam around and it’s great for them to experience the thrill of going to the cinema. Also a huge fan of independent film here! I hope this post has been helpful in finding you something to do in our fabulous city this summer, whether you are a born and bred Scouser (and not a Wool like me!) or have never been to our beautiful city. Liverpool has so much to offer for people of all ages, no matter what their interests are. As a 30-something year old first time Mum, I would recommend staying in the Titanic Hotel on Regent Road for the weekend and taking full advantage of their spa. (Their hydrotherapy pool is to die for, and the dockside rooms are truly stunning) I would then have a meal in one of Liverpool One’s #TrulyScrumptious restaurants before having a few drinks in one (or many) of Liverpool’s bars. I highly recommend Dale Street as a fab place to go drinking after sampling what Liverpool One has to offer. Have fun and let me know what you get up to by leaving me a comment below! Blimey, I’ve never been to Liverpool but now I’d love to go! I’m so lazy when it comes to exploring cities so a guide like this is perfect, I’m very tempted by those bars! !